Chauffeurs may just find themselves with too much time on their hands. The Camry, in its new avatar, manages to shake off its image as a car that needs to be ‘chauffeured’ around, rather than being driven by owners themselves. Toyota’s premium offering, which takes on the Honda Accord, is longer and wider than its predecessor. A sleek corporate sedan that offers a distinct driving experience. 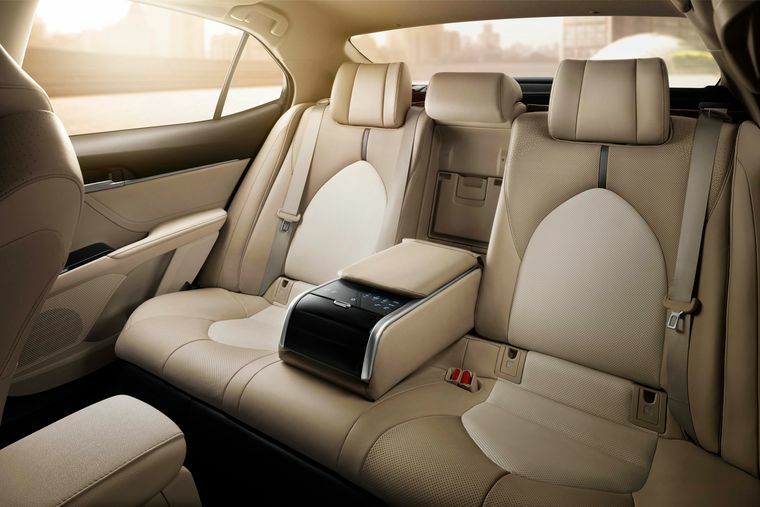 Inside, the beige leather upholstery and the light-coloured wooden finish make the car look airy and spacious. There is enough leg, head and shoulder room, and there is no cabin noise. A brand-new grille with slats in the front gives the Camry its definitive bold look. The car also comes with “dusk-sensing” LED projector headlamps that have an auto-levelling feature—a big asset, especially while driving on poorly-lit roads. The car also has LED daytime running lights, LED fog lamps and 18-inch alloys, which add to its looks. 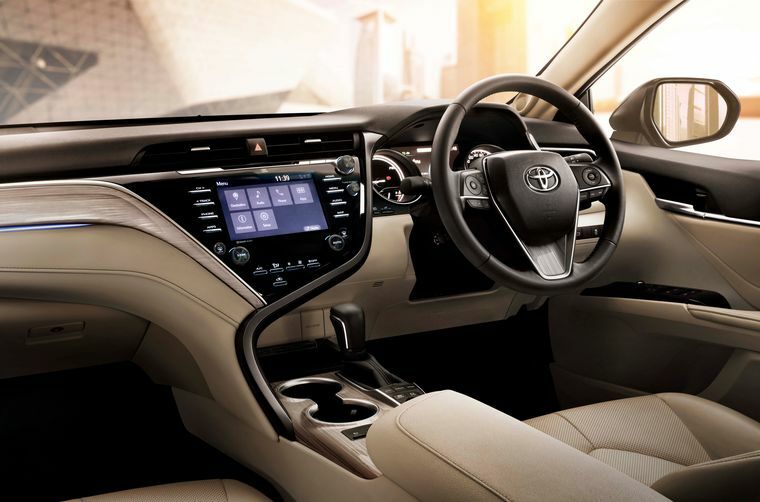 Inside, the beige leather upholstery and the light-coloured wooden finish make the car look airy and spacious. There is enough leg, head and shoulder room, and there is no cabin noise. The car is loaded with tech. Besides a JBL audio system with nine speakers, it has three-zone automatic climate control and a touch control armrest in the rear, adding to its luxe quotient. 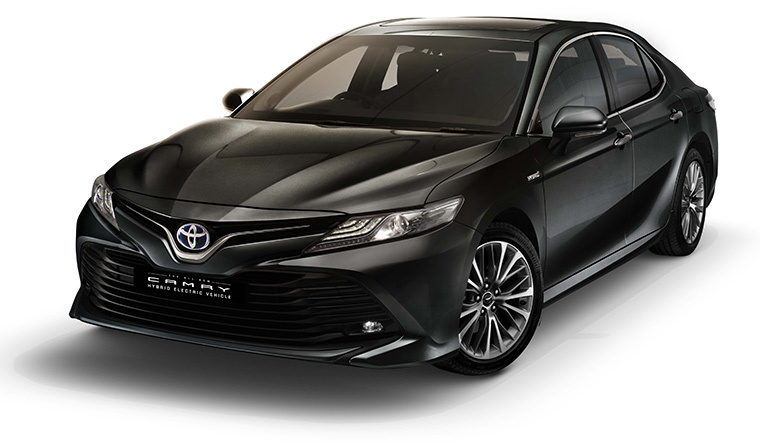 The Camry comes with a fourth-generation hybrid electric engine, basically a four-cylinder, 2.5-litre (2,487cc) petrol engine with a self-charging electric motor which Toyota calls a ‘gasoline hybrid.’ This eight-speed e-CVT, which also gets different driving modes, belts out 221Nm of torque at 3,600-5,200rpm, and has a maximum output of 178PS at 5,699rpm. The Camry also makes use of a 245V NiMh (nickel-metal hydride) battery, which does a fairly good job of belting out a max torque of 202Nm and delivering a total output of 120PS. When the Camry’s very silent engine kicks in, it takes over seamlessly from battery power. You do not feel the engine whine, nor do you feel the slightest twitch. It brakes well, too, and keeps Toyota’s promise of a great combination of fuel efficiency (23.27kmpl) and emission performance. The heads-up display shows the car’s speed and direction, and has an Ecometer. A drawback is that Apple CarPlay and Android Auto are missing. That is a pity; even cars in lower segments offer them. The slats on the front appear intimidating, because they are low-slung. The bottom of the slats may graze speedbreakers if you are not careful. But then, if you are not a novice, you would know how to negotiate those bumps. At Rs37.5 lakh (ex-showroom, Delhi), the Camry is expensive. But, if you have the money, there are two reasons to shell it out with your eyes shut: Toyota’s bulletproof reputation for reliability and a cleaner and greener environment.